In this list we’re going to look at the 10 best spiritual movies of all time and the spiritual characters who made the so darned good. Through the years movies have given us insight into spirituality and philosophy and some movies have been so inspiring that they may have even let you to become spiritual yourself. Science has proven the importance of spirituality. Spirituality leads to a healthier, happier life. So by inspiring spirituality, these movie characters actually make us healthier. But what is the best spiritual movie and who is the best spiritual movie character? Let’s take a look. Spirituality means different things to different people. So this list includes all different kinds of spiritualities. The peaceful warrior is definitely one of the best spiritual movies of all time. 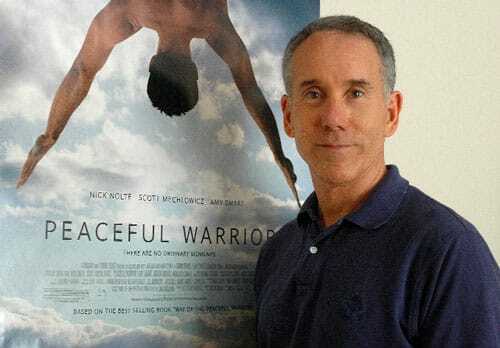 The Peaceful Warrior provides a fantastic philosophical portrayal of a man, Dan Millman, who is a gifted athlete. Like most athletes he’s training his body to be strong enough to become number one. But that’s when this movie differentiates itself from the pack. When Nick Nolte’s character opens Dan Millman’s eyes to a new understanding of life, Millman is left with a challenge: to become strong in ways he’d never even considered. Peaceful warrior is a wonderful spiritual movie that will open viewer’s eyes and leave you feeling spiritually rich. An absolute must-watch for all fans of spiritual movies. IF YOU LOVE DAN MILLMAN: You have an open mind and will soon become enlightened. Hey, Mulan is not the only spiritual movie character to come out of Disney. There’s Pocahontas, Rafiki and Buzz Lightyear (well, not Buzz Lightyear). Mulan is definitely one of the best spiritual movies for kids. It’s so inspiring! Mulan is the story of titular Mulan, who is worried her father will be drafted into the Chinese military. So she takes his spot, impersonating a man and learning to fight. “We must be swift as the coursing river, with all the force of a great typhoon, with all the strength of a raging fire, mysterious as the dark side of the moon.” [Mulan]. Spiritual Mulan Quote: Destiny guard our girls and our future as it fast unfurls. Please look kindly on these cultured pearls, each a perfect porcelain doll. Please bring honor to us all. 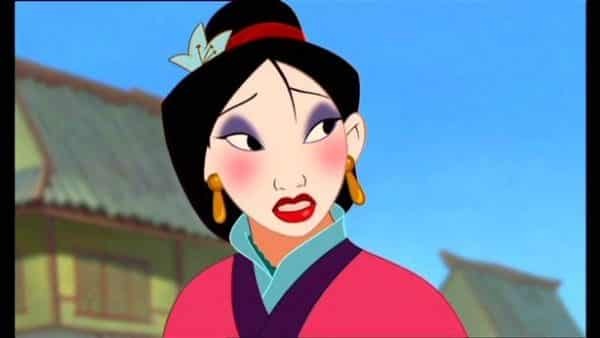 IF YOU LOVE MULAN: You have a beautiful soul and are full of integrity. I’ve been known to scribe the odd narrative myself, and in my humble opinion, Yann Martel’s Life Of Pi is one of the best novels of this century. And the movie is nearly as good as the book (nearly… but, let’s not get into that argument). 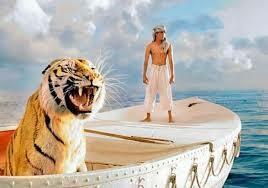 In The Life of Pi, Pi’s parents sell their zoo and board a freighter with their sons. Tragedy strikes. Down goes the freighter. Pi is left alone as the only human survivor. He has his pet Bengal tiger for company (damn good pet, right?). If Pi and his tiger are to survive, they will have to learn to be friends and to trust one another. Beautiful. Touching. Inspiring. Love it. Spiritual Life of Pi Quote: Faith is a house with many rooms. But no room for doubt? Oh plenty, on ever floor. Doubt is useful, it keeps faith a living thing. After all, you cannot know the strength of your faith until it is tested. IF YOU LOVE PI: You are an adventurer full of strength. 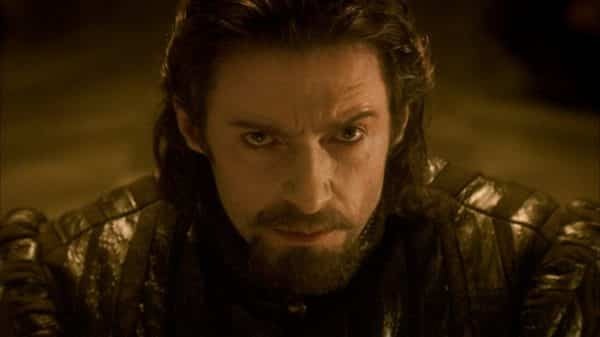 Perhaps no movie has elucidated the beauty and power of meditation better than The Fountain, one of Hugh Jackman’s lesser-known works. As a meditation teacher this has to be one of my best spiritual movies. It’s just beautiful. In The Fountain Hugh Jackman plays Tomas, a man who journeys through time on a quest to cure cancer for this wife and also to realise the spiritual and philosophical truths of reality. Definitely an “out there” movie, The Fountain is worth watching for its unique story (well, that and for Hugh Jackman, my favourite actor in the world (partly because Marlon Brandon is no longer with us)). Spiritual The fountain Quote: All these years. All these memories. There was you. You pulled me through time. If you love Tomas: You have overcome struggles and grown because of it. Could there be any doubt that Christ would make it onto this list at some point? Not only is he… er… Christ, but he’s also one of the most prolific character in the movies. From The Last Temptation to The King Of Kings, Jesus Christ has appeared in many wonderful movies. But the most influential of them all has to be The Passion Of The Christ. The scenes of Jesus being tortured truly (and painfully) bring Christ’s story to life. 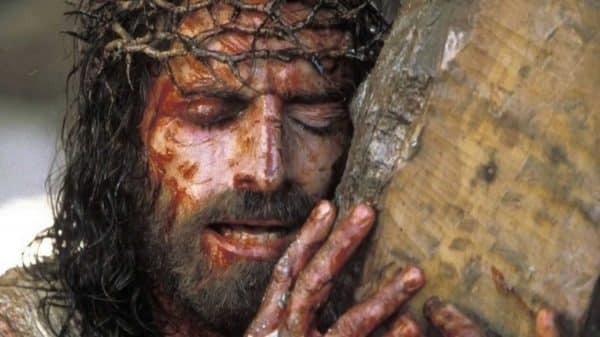 Whether you’re Christian or not, you will most definitely be moved by Mel Gibson’s The Passion Of The Christ. This is definitely the best Christian movie of recent times, and one of the best spiritual movies ever. Spiritual Passion Of Christ Quote: You know that I am the Way, the Truth, and the Life. IF YOU LOVE CHRIST: You are a noble spiritualist, always placing the needs of others first. 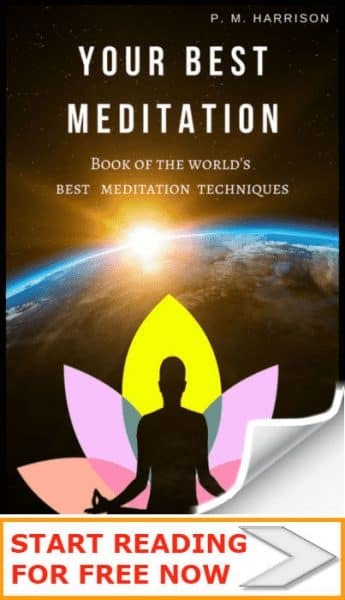 Why not try meditating on Jesus. Another of the best Christian spiritual movies ever. This is an absolute classic. Do you love old movies? Do you love epics? Then by Jove are you going to love The Ten Commandments, one of the greatest epics of all time. It’s the story of Moses (Charlton Heston) who’s enjoying the privileged life in the court of an Egyptian pharaoh (a place that would beat any home on MTV Cribs). One day he’s hit with the news that, uh-oh, he’s actually Hebrew, and God has expectations of him. He casts himself out of his princely palace into the streets with one mission: to free his people. 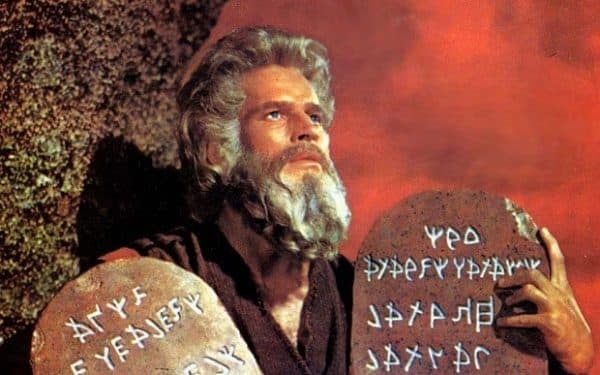 The Ten Commandments is a masterpiece of moviemaking. Some of the best cinematography of all time is right here. And then there’s Moses himself (brilliantly portrayed by the sublime Charlton Heston). All in all, this is one of the best spiritual movies you will ever see, and one of the best spiritual movie characters too. IF YOU LOVE MOSES: You are a leader of your people. Spiritual Moses Quote: There is beauty beyond the senses. Beauty like the quiet of green valleys and still waters. There’s no way I could complete this list of the best spiritual movies / characters without including Ghandi. Now I know what you’re thinking “Paul, you only put this flick on the list because it came out in your birth year (1982)”. But hold your horses, Jack. Because Ghandi is actually one of the best spiritual movies of all time. 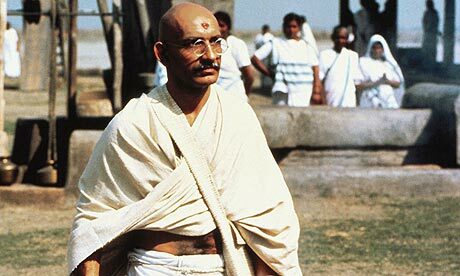 Ghandi is played by Sir Ben Kingsley in arguably his best role ever. And the screenplay is wonderfully writ, so fine indeed that even Shakespeare would probably watch it twice. Obviously our spiritual movie character here is Ghandi. The movie tells of the most important events in Ghandi’s life. Obviously Ghandi is one of the most important spiritual figureheads of the past century. Put all of that together and you’ve got a movie that any spiritualist would be simply cracker-jacks to miss. Spiritual Ghandi Quote: An eye for an eye leaves the whole world blind. IF YOU LOVE GHANDI: You have extreme levels of compassion. Not an overtly spiritual character, Gandalf nevertheless inspires a lot of spirituality and philosophy from readers and viewers alike. And the Lord of the Rings is definitely one of the best spiritual movies ever. A great character for quotes, Gandalf’s one-liners include such brilliance as “All you have to do is decide what to do with the time that is given to you”. And “I will not say do not weep; for not all tears are an evil”. But my personal favourite has to be, “He that breaks a thing to find out what it is has left the path of wisdom”. The Lord Of The Rings is one of the best spiritual movies of all time, so good that when I saw The Battle Of Pelennor Fields for the first time I had chills running down my spine and proclaimed out loud in my head “That’s why I write fiction: to try and make something as epic and moving as this scene right here”. Spiritual Gandalf Quote: Some believe that it is only great power that can hold evil in check. But that is not what I have found. It is the small everyday deeds of ordinary folk that kep the darkness at bay. Small acts of kindness and love. 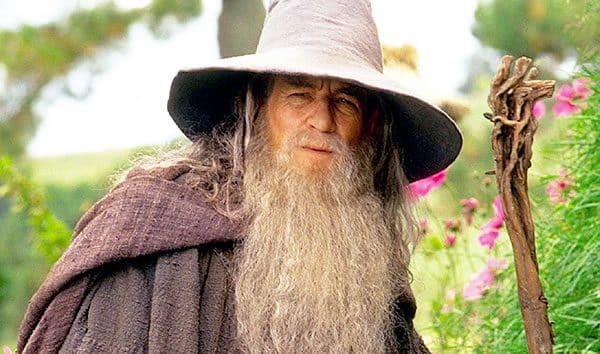 IF YOU LOVE GANDALF: You are inwardly still and wise. Avatar is my personal best spiritual movie. Take a look at this article about the amazing inspirations behind Avatar. Religions and spiritual had a hugely influence on James Cameron. Especially for Avatar. Avatar is the best spiritual movie of the century (and the highest grossing movie of all time, even beating The Force Awakens). Avatar is all about Pandora, a land which happens to be loaded with a mineral that is more valuable than gold. Humans want it (bastards). But the land is also incredibly intelligent and even the grass and trees are alive and connected to one another similar to how synapses are connected in the human brain. Long story short, humans fight the Navi over the land. It’s awesome. 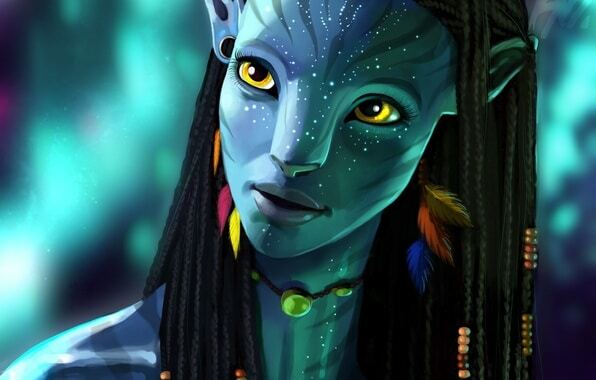 What’s particularly awesome about Avatar, though, is Neytiri. She’s essentially an alien style native-Indian character—she loves the land and feels oneness with the animals just like you, me, and all our spiritual friends do. Neytiri is what non-spiritualists would call a “tree hugging hippy”. But man do I love her for that. She is without doubt one of the best spiritual movie characters of all time. Spiritual Neytiri Quote: Our great mother does not take sides. She protects the balance of life. IF YOU LOVE NEYTIRI: You are one with mother nature. 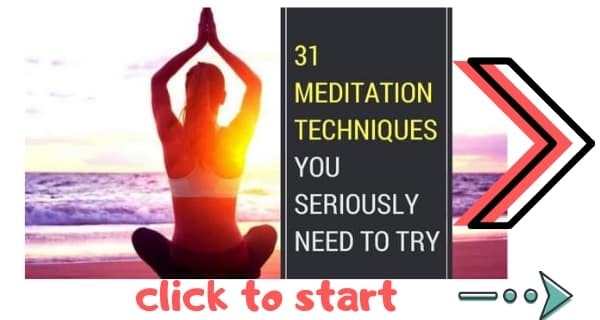 Did you know, you can actually do yoda’s meditations in real life? Take a look at that link. It’s a real eye-opener. 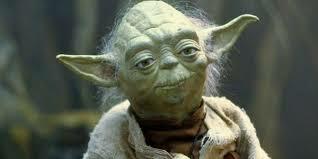 Yoda is without doubt the most influential spiritual movie character of all time: Yoda. Our “Little green friend” has inspired millions of people around the world to embrace spirituality and to tap into their philosophical side. Throughout all Star Wars movies [well, except The Force Awakens] Yoda gives brilliant quotes that are bound to inspire. “Do or do not, there is no try” he says in Empire Strikes Back. “Fear leads to anger. Anger leads to hate. Hate leads to suffering” he says in The Phantom Menace. Not only did Yoda sell millions of little green figurines, he also struck a deeper chord with Star Wars fans, making them consider spirituality and philosophy from a young age, helping us all to be a little deeper, a little more in touch with The Force. And, if I am honest, I probably would never have gotten into meditation has six-year-old men not wanted to become a Jedi (yeah, I know. Still, it’s better than going into the sewers in search of Teenage Mutant Ninja Turtles, as many TMNT fans did in 1990). I would have put every Jedi from Star Wars on this list if I could have. But I only get one. And that one has to be Yoda. Spiritual Yoda Quote: Do or do not. There is no try. IF YOU LOVE YODA: You are a wise old soul full of secret powers.